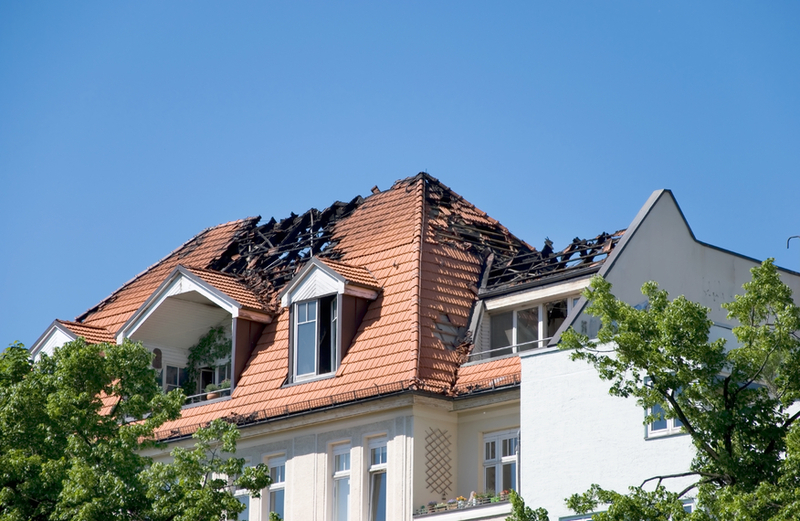 Fire damage can be disastrous to any kind of roof. Even small fires have the capacity to cause severe damages and increase the repair costs. Whether it is your office or house, fire damage can affect structure, contents and areas near the roof. It is recommended that you take all the precautions required to keep your roof protected from any kind of damage. In any case if you go through such unwanted circumstances then you should contact experienced firms that provide emergency roof repair services. During fire damage the most important aspect is the down time; your focus should be on reducing the damage as much as possible. We understand the importance of an emergency service that can help you reduce the damages and get through to the restoration process. We follow a standard protocol to repair your roof and replace the elements that have been fully damaged. Our professionals are aware of the industry approved standards and focus on rebuilding the structure of the house. We take appropriate steps to bring back life in your roof and re-build it to the pre-loss condition. Our workers first clear the debris of ashes and smoke to properly view the presence of any cracks or pores in the internal and external portions of your roofs. On noticing any crack they will instantly block it using high quality coating materials and for removing the burn stains they will use special chemical solutions to completely wipe it from the surface of your roofs. If necessary we can also provide the service of metal roofing for covering the ugly appearance of your roof and impart it with attractive appearance to compensate your loss. While coating your fire damaged roof we shall ensure that it becomes resistant to fire and other burning materials so that such unfortunate events do not occur any more. Our workers always use superior quality equipment and chemical solutions so that no harm happens to the basic structure of your roof. We seek to obtain the exact look of your roof mainly using advanced ozone machines, deodorizing and cleaning technologies. We understand the importance of time and so we prefer quick completion of the work so that you can pay attention to other things. Fire damage also affects the other portions of your house which you may not notice it soon but our workers can easily notice them the moment they step inside your house. Do not even neglect such minor damages also for they may assume a bigger shape in the near future. You shall have complete detail of our working process so that you can know how we serve our clients when in need. Our service charge is quite reasonable and we can forward an advanced cost update on your request so as to provide immediate relief on the aspect of the repairing budget. We have many options of making your roof fire resistant and to know more about them you can call us in our office number.